A family fined for taking their two boys out of school for a holiday have vowed to go to take their battle to court. The Wheeler family have been slapped with a £240 fine for taking Joshua Wheeler and Leo Daley, both eight, out of school for a week to go on holiday to Turkey. Dad Kirk says that the family had "absolutely no choice" because that was the only time all four could get the time off work. But when the headteacher at Grimsby's Woodlands Academy denied them special dispensation for the holiday, the boys were removed from school anyway, reports Grimsby Live. 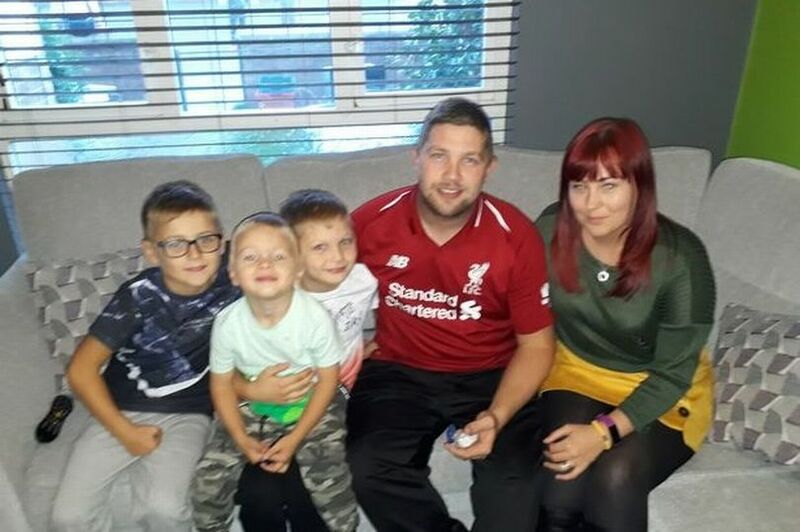 Kirk Wheeler said that the family had originally booked the trip for the October holidays, when the two boys would have been off school, but as he had just started a new job at Immingham Docks, he was unable to have the time off work and had to re-schedule. The family say that they had had the holiday booked for over a year. The parents have been fined £60 each per child. He said: "I just recently started a new job on the Immingham Docks, and work in a system where we are in six man gangs, and only one person can be off at any one time. "Because of this, when I started the job I just was not able to get the time off work for the original time that we booked the holiday in October." The went to the school prior to the holiday and submitted a holiday request form to them. However this was rejected by the school. They now feel that they are being "punished for working" as Kirk had "no other options" but to take the family holiday when he did. They claim that their sons have never had below 96 per cent attendance in the whole time that they have been at the school. Mum Samantha said: "Our boys have never missed school regularly before, and we always make sure that their attendance is good. "But in this unique circumstance we felt that we had no choice but to take them out of school, as the holiday had been paid for over a year ago. "The original plan was to go in the school holidays, but as my husband had changed his job, there was only one week when we would be able to all go as a family. "We thought that there wouldn't be too much of an issue about it, because it was in the first few weeks of the school year, and it wasn't like they would have been missing any exams. "More than a month had passed before we received the fines, and it is just a few weeks before Christmas. "If I am honest, I think the boys learned more on holiday than they would have done in school, Leo had never been abroad before and now he has even learned how to swim." The family have said that they will go to court in order to fight against the "unfair fines" feeling that they have been unjustly punished. The Department of Education says that a child can only miss school if they are either too ill to attend or they have received advanced permission from the school. With regards to absence in term time, permission is granted by the headteacher only be done if an application is made in advance and approved, and only in exceptional circumstances, such as a parent's or sibling's wedding, a religious festival, or if a parent is to be deployed in the Armed Forces. It is up to the head teacher how many days the child can be away from school if the holiday is approved. Woodlands Academy head teacher Rachel Green said: "I do not wish to comment on individual cases. “However, what I would say is the law states children must attend school on a regular basis and head teachers must only grant leave of absence in exceptional circumstances. “Holidays are not classed as exceptional circumstances and this has been proven in law. “We want to ensure the very best education for all our children. We can only provide this if our children are in school regularly. “We work with our parents and carers on attendance and lateness and penalty notices are only issued when we have no alternative.